Location: Service road to lock up garages at the end of Court Cottages is on the site of the station. Present state: No evidence of the station remains, the colliery site has been cleared to make way for new industry. Notes: There was initially a branch from Eythorne to Tilmanstone Colliery, which was then extended to re-join the main line north of Elvington at some stage (apparently illegally as the extension is not listed as authorised). The northern junction had a loop, but this and the junction was removed by 1926, leaving the line north of the colliery as a siding. This north part vanished under the colliery waste tip some time after 1959. 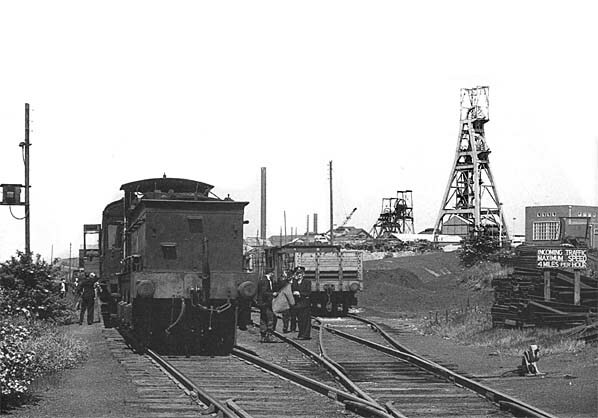 There was a platform at Tilmanstone Colliery for the use of miners' services, which operated from 1918 to 1929. This was described in on tickets as 'Tilmanstone Colliery' and in Bradshaw as 'Tilmanstone Colliery Yard', as seen in the timetable below, thus causing obvious confusion with what later became Elvington Halt. This seems to have been deliberate, as the EKLR had no authority to run passenger services over the branch and issuing tickets was technically illegal. It should have contracted with the colliery company instead for these services, as was standard practice in coalfields elsewhere, instead of collecting a subsidy. The East Kent Light Railway was originally conceived before the First World War as a network of lines in East Kent linking at least nine proposed collieries in the newly discovered Kent coalfield to a new coal port at Richborough. However, most of the collieries were either flooded out or abandoned before reaching production and the EKLR only served one productive mine. Richborough Port was a failure and the EKLR became a truly rural railway with a heavy coal flow for a few miles only at one end between the working colliery at Tilmanstone and the SECR main line at Shepherdswell. Railway, Colonel Stephens also became locomotive superintendent and general manager. Opening to freight traffic was in stages after authorisation in 1911 from Shepherdswell to Port Richborough and from Eastry to Wingham (later renamed Wingham Colliery). The process was casual and without formality, hence exact dates are not easy to ascertain. Passenger services from Shepherdswell to Wingham started on 16 October 1916. The EKLR had its own station at Shepherdswell which was built adjacent to the LCDR station (which opened in 1861) with a spur onto the main line. The initial proposal was to build a line to Canterbury goods yard via Ickham, but authorisation was only granted to build the line as far as the Wingham parish boundary. A major stumbling block to completion was the fact that Canterbury City Council was against a level crossing over the A28 at Sturry Road. Richborough became an important military port during WW1 before the rail connection from Shepherdswell was built. The official year of opening of the line between Eastry and Richborough Port was 1925, but this is probably incorrect. The company's bridge over the River Stour and hence its traffic over it before then, was illegal, since it had built a fixed-span high-level bridge instead of the low-level swing bridge authorised. By the time the line reached Richborough the port was already in decline. A double-track tunnel was bored at Golgotha near Eythorne and famously Colonel Stephens did not remove all the material from the double bore as a 'temporary' economy; the railway was single-track throughout. The maximum passenger train frequency on the line was in 1917 when there were four daily return trips to Wingham, one to Eythorne and one to Tilmanstone.The line never had a Sunday service. By 1918 this was reduced to three daily trains to Wingham. A workmen’s service operated to a station at Tilmanstone Colliery Yard, this was in use by August and discontinued by July 1930. This service appeared in Bradshaw from July 1922 – August 1929. In 1920, there was a short extension to Wingham Town and the original terminus was renamed Wingham Colliery. 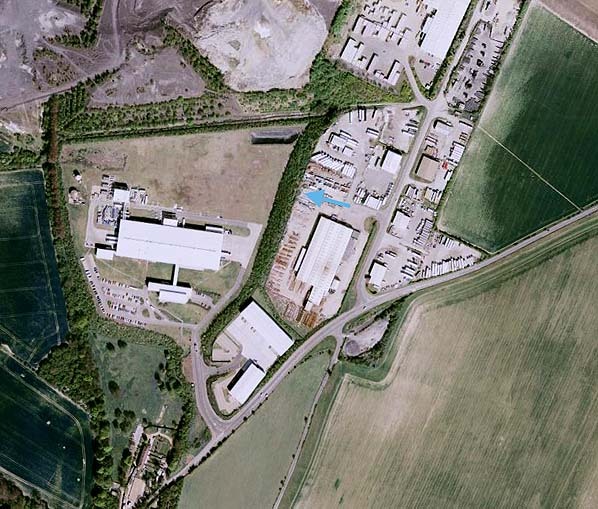 This extension had a short spur running south to Wingham Engineering Ltd.'s works. A further extension followed to Wingham Canterbury Road in 1925; it was originally intended to continue on to Canterbury but this was never built and the line terminated in an incomplete cutting on the north side of Canterbury Road. A passenger service from Eastry to Sandwich Road (a length of 2½ miles) on the Port Richborough branch started 13th April 1925; a station was built at Richborough Port but was never opened due to the condition of the bridge over the River Stour. Initially there were two daily return trips between Shepherdswell and Sandwich Road but by 1926 this was reduced to one daily train with two on Wednesday and Saturday. This service was short lived and was withdrawn on 31st October 1928 with closure of the halts at Poison Cross, Roman Road and Sandwich Road. Hopes of extensions were raised when the Southern Railway invested £44,000 in discounted shares in 1926, but dashed when it lost interest and workmen's trains were withdrawn in 1929. The railway settled down to running coal trains for Tilmanstone Colliery as its only profitable activity. The colliery company objected to its rates and opened an aerial ropeway in competition to the Eastern Arm of Dover Harbour in 1930. This was a failure, as the coal did not sell on the export market and mostly found a market in London and the ropeway was dismantled in 1952. Colonel Stephens died in 1931 and was succeeded as General Manager by his long-time assistant W.H. Austen, who served until nationalisation. His period in office initially saw a tidying-up and some rationalisation of activities, together with a badly-needed rebuilding of the engine shed finished in 1938.The only known movements at Richborough Port were the importation of timber for pit-props at Tilmanstone Colliery and the export of some coal from Snowdown. The EKLR had no signalboxes or signalmen (although the ground frame at Eastry was in a shed until it fell down). Initially, there were ground frames controlling semaphores at Shepherdswell and Eythorne, but another one was installed at Eastry in 1925. All the numerous level crossings were un-gated apart from Sandwich Road. Three rail guns were operating on the line to Staple during the Second World War between 1940-2 and there were some trains serving ammunition dumps in the area. performed this function (being independently braked). The obvious disadvantage was that shunting made the passenger timetable a work of fiction. One way of making up time was by not stopping at stations where no passengers were waiting. There is anecdotal evidence that sometimes train crews ignored prospective passengers anyway if no goods traffic was to be handled at that stop. After an extended period of increasing run down of the line, the final passenger service of two trains each way on weekdays ran on 30th October 1948 following the nationalisation of British Railways, shortly before closure, the line was carrying an average of three passengers for every four trains and even the last train only carried five passengers! Freight services from Eastry to Port Richborough ceased officially on 27th Oct 1949 (although no train had run there for some time and track was missing on the river bridge) and west of Eastry on 25th July 1950 and north of Tilmanstone Colliery on 1st March 1951. The track north or Tilmanstone colliery was lifted in stages between 1954 - 1958. The remaining section of the line serving Tilmanstone Colliery remained in use until the miners strike in April 1984. 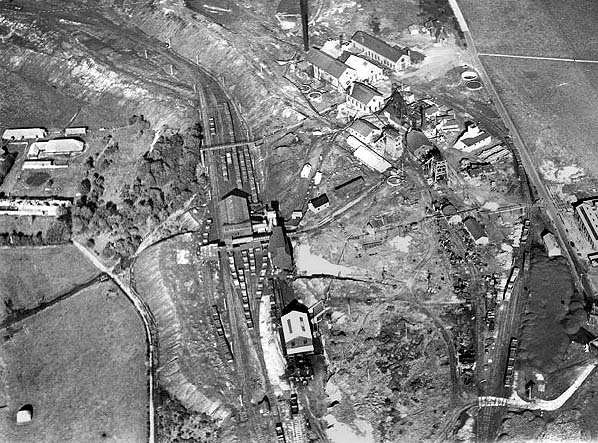 The colliery reopened after the strike although the line was no longer used. Tilmanstone Colliery closed in 1986 and the line was officially closed on 31st December 1987. The East Kent Railway was formed in 1985 with a proposal to preserve the remaining section of line and a programme of shrub clearance began in 1989 after the line was sold to the company for £125,000. A new replica station was built at Shepherdswell where only the a very degraded platform remained and this has became their base; there is still a connection there to The East Kent Railway was formed in 1985 with a proposal to preserve the remaining section of line and a programme of shrub clearance began in 1989 after the line was sold to the company for £125,000. A new replica station was built at Shepherdswell where only the a very degraded platform remained and this has became their base; there is no longer a connection there to the main line. The company was granted a light railway order in 1993 which allowed them to run passenger trains for the first time in 40 years between Shepherdswell and a new station that was later built at Eythorne. In 2003 the EKR became a Charitable Trust. The railway is open every Sunday between April - September and on certain other days during the year. The remainder of the line has returned to nature and agriculture with only a few isolated earthworks remaining although much of the course is still visible as a 'crop mark' across fields in aerial photographs. With the exception of Elvington and Shepherdswell all the stations have disappeared without trace but buildings still remain at the three abortive collieries at Coldred (Guilford Colliery), Woodnesborough (Woodnesborough or Hammill Colliery) and Wingham (Wingham Colliery) that the line was built to serve. At Tilmanstone, the one productive colliery, all the buildings have disappeared under new industrial developments, the only remaining colliery building is the power house for the aerial ropeway halfway along its course from Tilmanstone to the Eastern Docks at Dover. Web sites: The East Kent Railway (preserved line). Welcome to the East Kent Railway, Staple online, The Colonel Stephens Railway Museum, The Colonel Stephens Society, Click here for pictures of track lifting on the East Kent Light Railway in 1958. Click here to see a map of the East Kent Light Railway and proposed extensions. below the spoil tips meets the EKLR line.